With all the buzz around sexual harassment, many would assume that it would be the number one thing bothering the C-suite. However, a new study shows that’s not the case. The biggest worry on executives’ minds, around the world, isn’t recession, global competition, or labor relations. It’s not even cyber-security. New data shows that what’s keeping C-suite executives up at night is their people strategies. The Global Leadership Forecast 2018: 25 Research Insights to Fuel Your People Strategy revealed that C-suite executives rank developing “next gen” leaders and failure to attract and retain top talent as their biggest challenges in the coming years by a wide margin. In fact, only 14% of CEOs believe they have the leadership talent to execute their strategy. Key finding: Digital pioneers—defined as the top 25% of organizations with the strongest digital leadership capabilities—financially outperform other companies by 50%. Culture emerged as a major driver of leadership success in the study. The data showed that, for leadership strategies to succeed, organizations must build solid cultural cornerstones, such as a clearly communicated purpose, peer coaching, experimentation, and psychological safety. 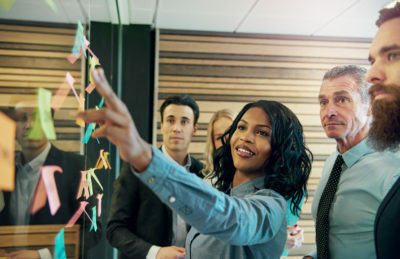 Diversity also plays a major role in building a successful workplace, which includes embracing gender diversity, leveraging diverse mindsets, and understanding the relationship between Millennial, Generation X, and Baby Boomer leaders. Key finding: 55% of organizations in the top third for financial performance have formalized mentoring. Over the past 3 years, HR’s reputation has gotten worse, with more leaders now believing that HR is simply a “reactor” that executes commands rather than an “anticipator” that develops a people strategy that enables the organization’s business strategy. One of the primary challenges is that HR is failing to develop digital skills on pace with technology advances, which undermines their ability and reputation to drive digital transformation across the workforce. To explore the findings and download the complete Global Leadership Forecast 2018, click here.